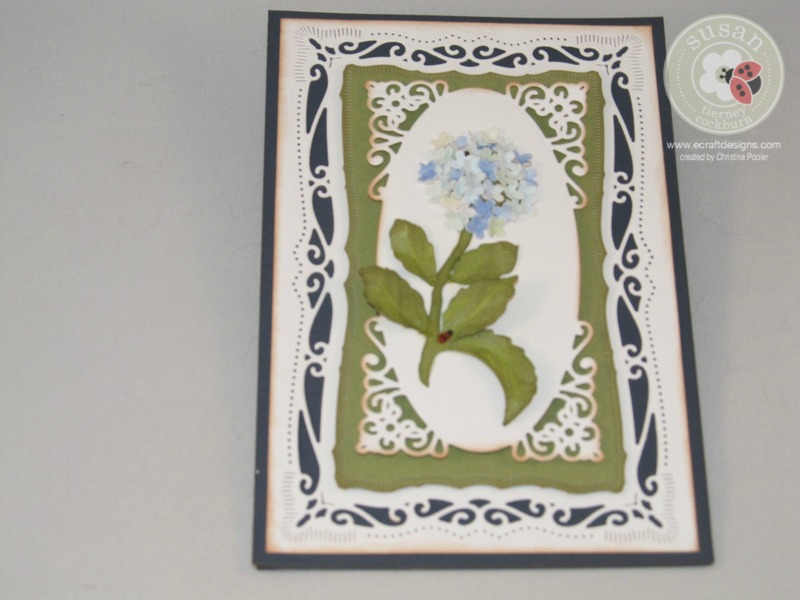 Today I am posting an easel card featuring Susan’s Garden Notes Hydrangea. 1. Cut cardstock to 4-1/4 x 12 then score at 3, 6 and 9 fold. The cardstock I used for the card is “Outdoor Denim” but my sample here is white so that you can read the dimensions. Note: I inked edges of all pcs with Vintage Photo Distress Ink. 3. Using dies of your choice ( I used Spellbinder “Radiant Rectangle dies for this card) cut 3 different sizes to fit the above pc of cardstock. I used “White Daisy” for the largest and smallest rectangles and “Olive” for the middle rectangle. 4. Layer the rectangles onto the 4-1/4 x 6-1/4 cardstock. I popped the middle and smallest ones with foam tape. 6. 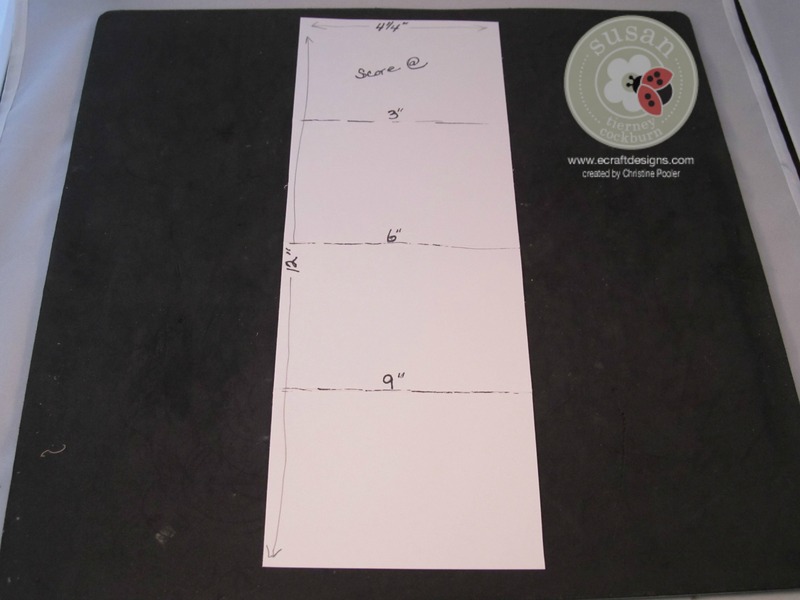 Using Elizabeth Craft Designs clear double sided adhesive on the 1st 3″ section of the card attach the lower half of your completed card front to this section. 7. Die cut an oval and add your sentiment (I used a CTMH stamp set “Thank You” and using pop dots / dimensional tape attach the oval to hold the front of the card when open. This is a fun and easy card to make and can be changed up just by using different dies, colors, flowers and sentiments. I do hope you will try this card.